Among the hundreds of Franconian beers I have tasted, this one can be exceptional in quality: it has a pleasant combination of full taste (both malt and, more so, hops) and perfect balance. To my taste, it is one of the best Ungespundetes in the region. Quite well balanced "rural" lager, not filtered, low carbonated; a bit sweetish and sticky in the aftertaste. So I went looking for Zum Goldenen Adler, and I couldn't find it. 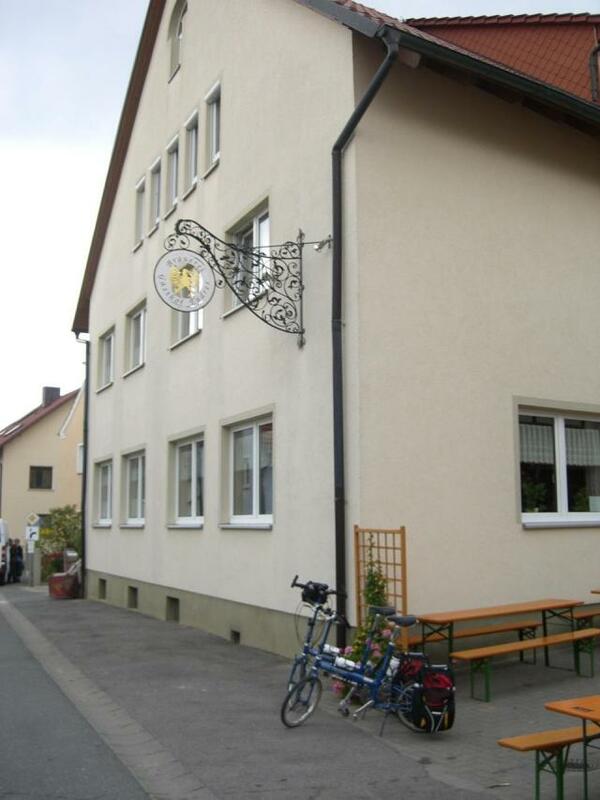 I asked at a Gasthaus there and they said no brewery existed in Hoefen for a hundred years. Anyone have any better directions?? Was a fun bike ride through the forest behind Bug, though--really pretty. Sean McCambridge, you were probably at another Höfen south of Bamberg. This one is close to Rattelsdorf north of Bamberg. You were way off buddy. After a break at the Drei Kronnen in Rattlesdorf, travel in the direction of Freudnecks wagner. Go past the alt muhle, over the river Utz. Turn left as if traveling toward Rekendorf(bier schloss). 100 meters after left turn on left side. If you get mixed up an turn right, stop in Freudnecks Wagner, have a bier and ask heinz for help. There are rumors the beer is now brewed by Schloss Brauerei, Reckendorf. Hopefully the rumor that this place has stopped brewing onsite is not true. Visited for first time in Summer 2014 and I would put the beer easily in my personal top 10 Franconian beer list. Well balanced. Really nice fresh hop aroma and flavor to it. Great food. We sat down at one of the tables outside. We received really top notch and friendly service and some good conversation with a local couple. Could have stayed her all day. Which number is lowest 56 or 46?